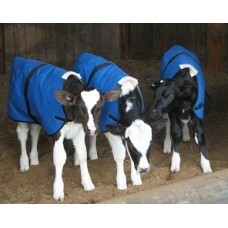 A top selling cover for those wanting to present their pet day calves in prime showing condition. 12oz Blue Poly Cotton Waterproof Ripstop Canvas. Warm felted wool inner along with a satin lining to shine the coat. 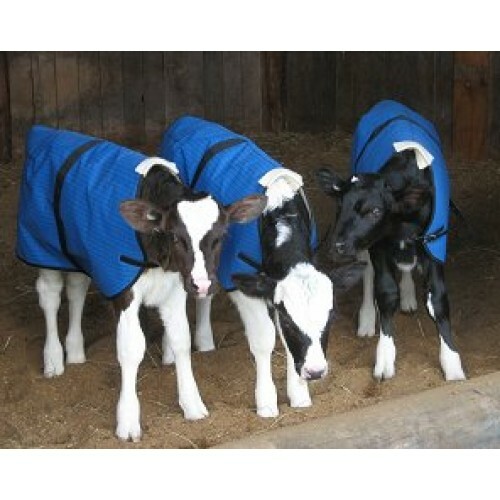 This cover keeps the calf very warm and also shines the coat. Front and rear straps are manufactured from heavy duty PVC strapping. Full polypropylene binding all around the edge. Surcingle belly strap to ensure the cover fits snugly.